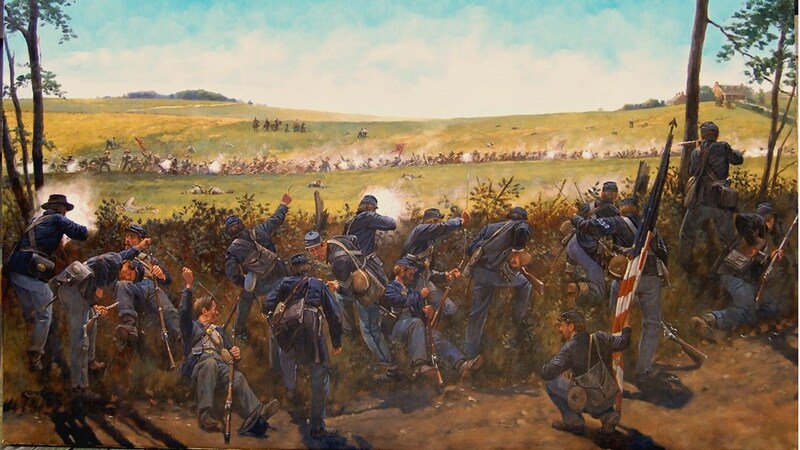 The Civil War quiz for October has been postponed until the November meeting. 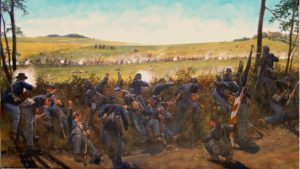 Civil War Quiz: What Do You Know About Events Leading up to the Civil War? Q#1 – What were the names given to Article IV, Section 2, Clause 3 of the US Constitution that had an eventual effect on the Civil War? Q#2 – What was the purpose of Fugitive Slave Act of 1793? Q#3 – In 1807, Congress passed what law making the importing or exporting slaves a federal crime? Q#4 – What was the objective of American Colonization Society that was established in 1816? Q#5 – The Missouri Compromise of 1820 involved Missouri and what other state? Q#6 – Why was the Tariff of 1828 called the “Tariff of Abominations” by its opponents in the South? Q#7 – The 1830 Supreme Court ruling in the case North Carolina v. Mann had what effect on slave owners? Q#8 – What was the name of the newspaper that Abolitionist William Lloyd Garrison began publishing in 1831? Q#9 – Who was Nat Turner and what event was he associated with? Q#10 – The Compromise of 1850 was a package of five separate bills passed by the US Congress. What do many historians argue was the net effect of the Compromise? Q#11 – Before it was published in book form, in 1851, where did Uncle Tom’s Cabin first appear for readers? Q#12 – How did the 1853 Kansas–Nebraska Act affect where slavery would be allowed? Q#13 – What act of violence occurred on May 22, 1856, in the US Senate? Q#14 – What was the purpose of John Brown’s attack on the federal armory at Harpers Ferry in 1859? Q#15 – In the presidential election of 1860, what were the names and political parties of the other candidates who ran against Abraham Lincoln? This entry was posted in Quiz on September 26, 2017 by hlj.